FUCHS BIOSEVEN COMPACT, the fountain with many features. 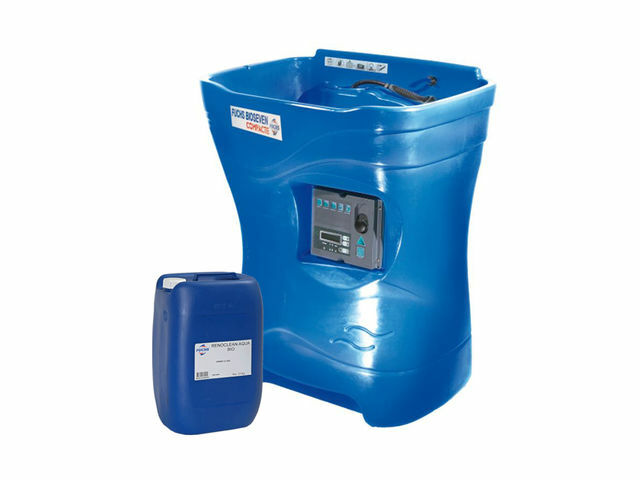 This biological cleaning fountain is the ideal solution to replace solvents: VOC suppression, operator safety, constant cleaning efficiency, waste-free and with very limited maintenance. It is associated with a neutral pH lye and microorganisms dedicated to the biodegradation of organic soils.